BRAZZIL is always open to new articles. We are interested in all subjects that have any Brazilian connection. The magazine is still a very small operation and we cannot pay for your contribution at present. Brazzil is made exclusively by volunteers. But we will gladly include your byline and you will keep the rights to your article. The article should be in journalistic style. You are welcome to write about your own Brazilian experience, if you are, for example, a musician, a business person or simply someone who likes to write. Sorry, but we don’t publish press-releases, résumés and advertising copy. We also don’t just write about events that occurred or are going to happen in the future unless these events are only the background for a more in-depth piece. No need to send any draft. We will acknowledge when we get your piece and again when it is printed and online. Whenever possible, be precise. Don’t say, for example, a senator, a song, a city, a magazine. Instead spell the name of the senator, the song, the city and the publication even if it is the competition. Avoid to say recently, earlier this year, a couple of months ago, when you can say the precise date: January 22, 2222, at 2.22 pm. And naturally check your facts and the spelling of proper names and foreign or trickier words. Don’t worry too much about Portuguese words, since we will try to write it right. 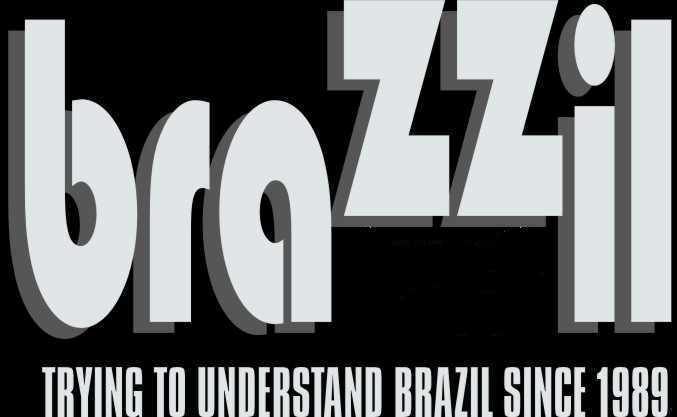 Remember that Brazzil is read by people who know little or nothing about Brazil, who don’t know where the country is and that people speak Portuguese there. So, we explain everything from Brasília (capital of Brazil) to favela (shantytown) and Pelé (legendary soccer player and athlete of the [20th] century). By the way, it is Carnaval and not carnival that we call that huge four-day party. And writing Brasilian may be cute, but we write Brazil and Brazilian. We italicize names of books (Dom Casmurro), CDs (The Hips of Tradition), movies (Cidade de Deus – City of God), newspapers (O Estado de S. Paulo) and magazines (Veja) as well as foreign words (cachaça, enfant terrible). But we include between quotes names of songs (“Bim Bom”), chapters of books and articles (“I’ll Miss You, Fernando”) from a publication. We don’t use underline and italics should not be used for citations. The magazine is NOT for Brazilians (it would be in Portuguese, if it were) although it is read by Brazilians. It’s primarily for people who are interested in Brazil and cannot speak Portuguese. So, feel free to whenever possible include Portuguese words, lyrics, slang, expressions, and dialogues, but don’t forget to immediately translate them into English. You not only keep the rights to your article but are also free to republish it later in other publications. We might also publish pieces that were published before. One more thing: don’t worry if we have approached the subject in previous issues or very recently. All good themes are begging to be re-visited. Please include at the end of your piece a little blurb (a couple of lines will do fine) containing a brief bio and an email or another address so our readers can contact you. It would be very helpful—not a must though— if you had a picture or any kind of illustration to accompany the story. Illustrations should be sent by email or to the PO Box listed below. There is no deadline. If you want a suggested date, how about one month from now? We will publish the article as soon as possible, maybe in the coming issue. And again we will email you as soon as the piece is online and printed. We reserve a few pages in every issue for fiction written in Portuguese. It might be an excerpt of a larger work (a novel for example), a short story or several short stories (from 3000 to 5000 words in total). Brazzil is also interested in English fiction as long as the theme deals with Brazil. We do not publish poetry per se, but would be interested in essays in which poetry is cited and its English translation appears side by side with the original Portuguese. Muito obrigado. Thanks for your generosity. Please send material via email tor rodney@brazzil.com.